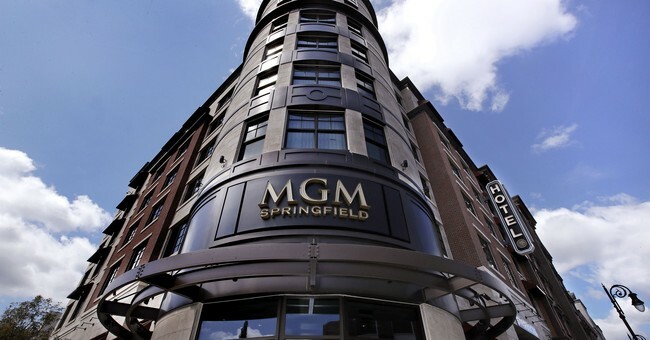 Despite a contract that prohibits MGM from using robots to displace workers, the casino seeks to implement those plans. MGM, one of the major global casino companies, is considering replacing some workers with robots, which will cause some concern for their employees and those in the industry as a whole. The Las Vegas Culinary Union (LVCU), which represents bartenders, kitchen staff, and wait staff, reached a five-year deal in June 2018 with the MGM. The agreement guarantees that MGM will not implement any technology that would have a negative impact on employment. However, the news that the MGM is considering replacing some workers with robots could mean that the company is not willing to fulfill this agreement. Why any company would agree to a long-term contract forcing them to not reduce costs is a mystery. The article did not say how MGM could get around the contract. The McKinsey study the article cites is from November of 2017. Thus it's a bit dated. Nonetheless, please consider Jobs lost, jobs gained: What the future of work will mean for jobs, skills, and wages. Potential to displace and actually doing it are two different things. No one knows what the future will hold. Some things are easy to foresee, however. Millions on interstate truck driving jobs will vanish early in the cycle, no later than 2024, but I strongly suggest one to two years before that. Taxi and limo jobs will vanish at the same time or perhaps a year or two later. The push for $15 will speed up adaptation of robots that cook, tend bars, etc,. We already see more self-checkout lanes and that process will speed up. Yet, there will be new jobs. There always are. Where? I don't know. How many people in 2000 gave much thought to the possibility of self-driving trucks? The problem is today's bartenders, truck drivers, and McDonald's workers will not be able to retain for jobs when we have no idea where those jobs will be. Boomers had it easy. I was able to quickly switch into computer programming from a degree in civil engineering. One class, my free elective at the University of Illinois, Advanced PL1 Programming, was all it took. One does not easily switch careers today based on one college class. If you hold a useless in degree in humanities, English, etc., you will have skills necessary to work at McDonalds, bartend, be a server, or a teacher. But those jobs are among those that will vanish.